Say my name and everything just stops, belts out Taylor Swift on her song “Dress” from her most recent release, reputation. With her current stadium tour, this rings true, loud and clear. 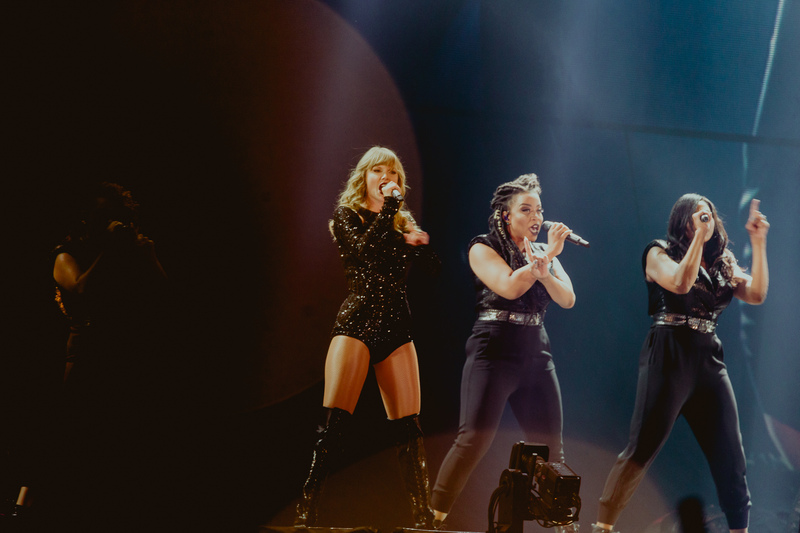 Swift’s Reputation Stadium Tour is one to captivate old fans and new of all ages, and something to solidify Swifts bad-girl, yet good-hearted reputation. 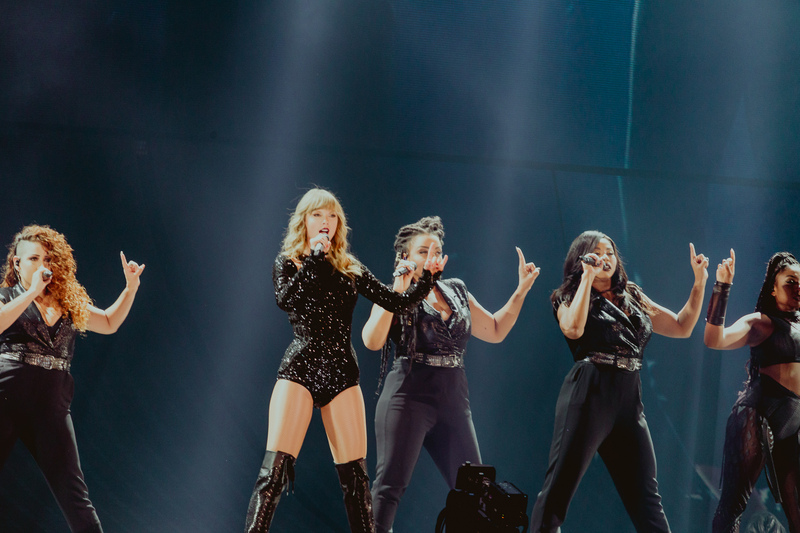 The Reputation Tour made a stop in Detroit on August 28, and managed to blow away no less than 40,000 people with every light, dance move, and note, to no one’s surprise. Swift has always been known for putting on a theatrical show, and one with meticulous attention to detail. With the reputation era, however, Swift and her team have taken this to a new level. 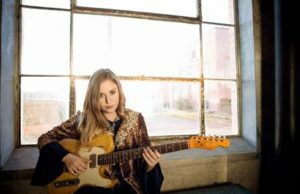 With this tour, she has created a living, breathing, fiery piece of live art. 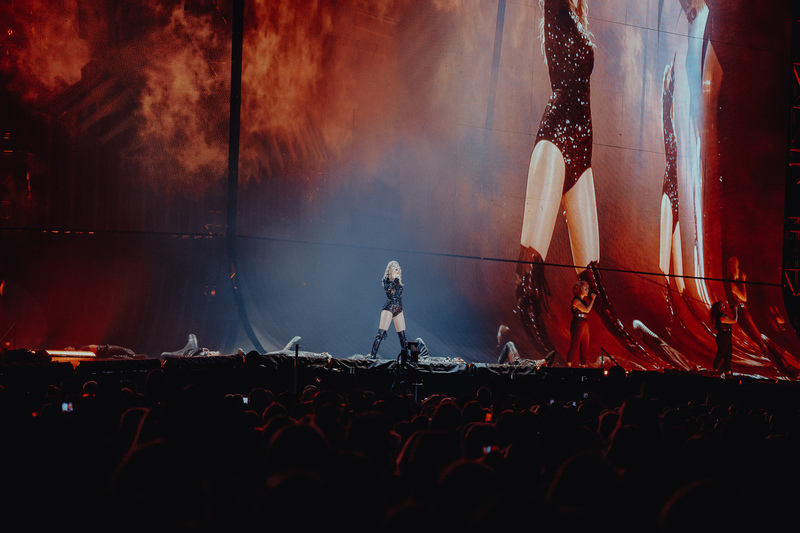 Prior to Swift’s performance, it becomes very clear that this tour has become a means of building connections and inclusivity, and is theepitome of divine feminine energy. 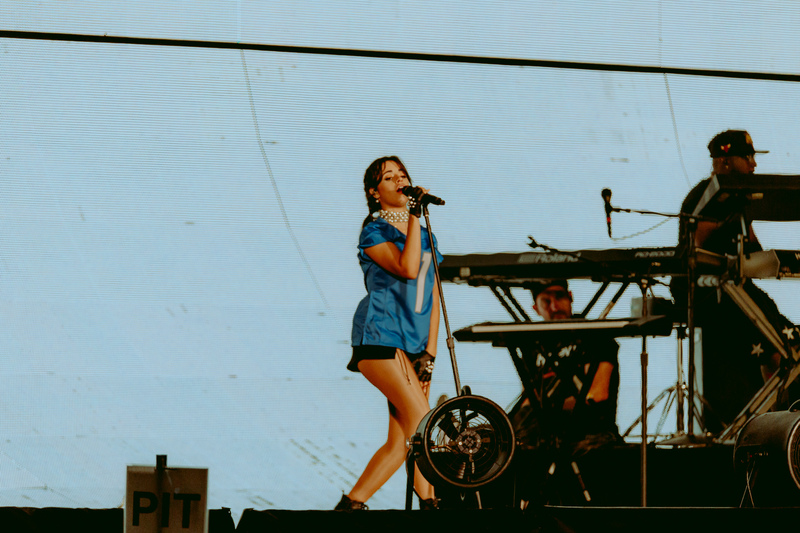 Both openers, Charli XCX and Camila Cabello are young women on the cusps of their careers, and though both are pop artists, each was more focused on a different form of their art. 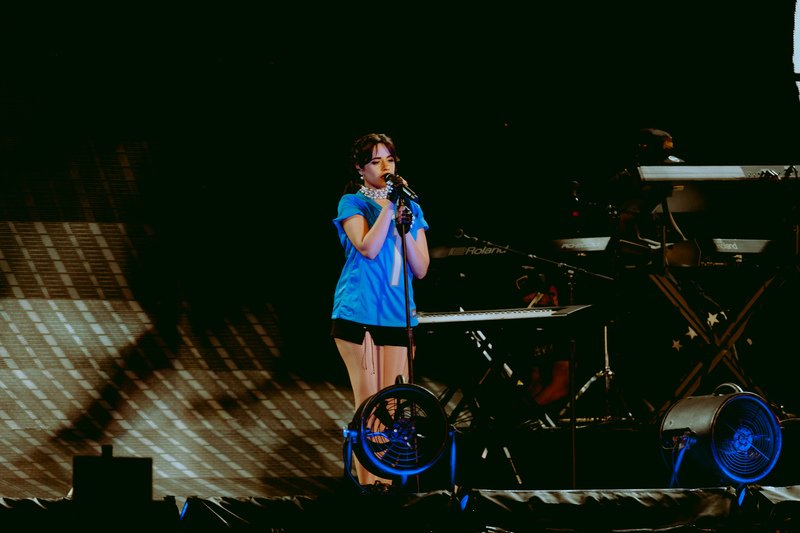 Charli’s performance was very techno-poppy and full of bounce, starting with her sprinting and jumping all across the stage for her hit single “Boom Clap,” whereas Camila’s was more moody and soulful as she swayed with her mic-stand, crooning the words to her own tracks, including “Never Be The Same,” and “She Loves Control.” Both ladies put on striking performances in their own ways, and both were so diverse and unique in style, but still so spunky and charismatic, a perfect introduction for a Taylor Swift concert. 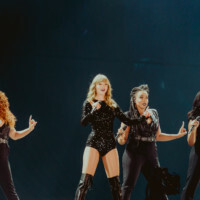 Between sets, fans were entertained by a mixture of a custom pre-show playlist (featuring Halsey’s “Roman Holiday,” Sugarland’s “Babe,” Hayley Kiyoko’s “Curious,” among others), and brief clips of fans’ experiences meeting Taylor (at meet n’ greets and secret sessions leading up to reputation) being reeled on the screens of Ms. Swift’s larger-than-life stage. 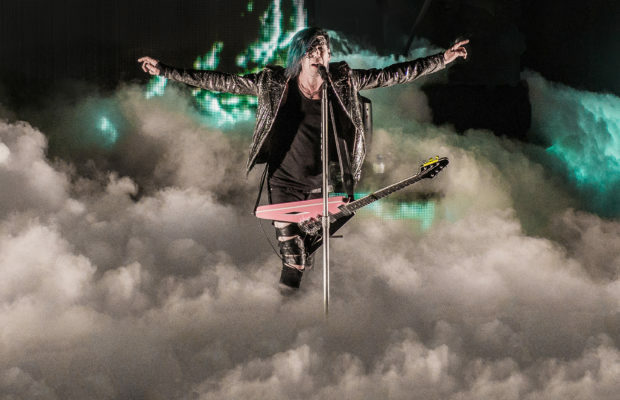 All of this entertainment continuously amped up the energy in the room, all leading to the final song prior to Taylor’s arrival – which was recognized when Joan Jett’s “Bad Reputation” started blaring through the stadium. Suddenly, in the middle of it all, the lights go black, the stage, a two gigantic screens, begins to light up with flickering, cryptic footage of Taylor over the years – home videos, music video clips, and more, all glitching and distorted in color, with the echoes of news criticism about her. These clips flash forward one after the other, over in seconds, and the room blackens again. 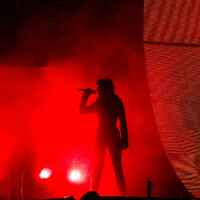 The stage parts at the center, filling with smoke and light glowing from within, and then she appears as her hit single, “Ready For It?” kicks in. Taylor Swift, the woman of the night, is the center of it all, and her show has begun. 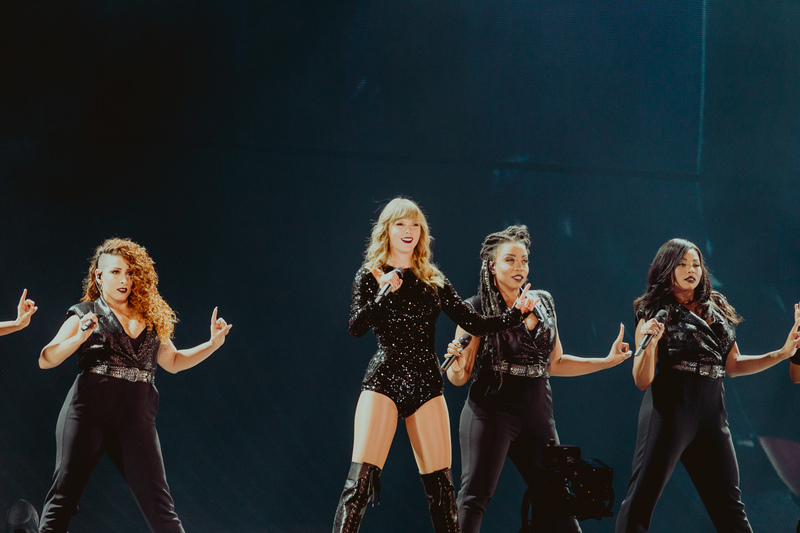 For the first few songs, Swift is a force of nature – a hurricane ripping across the stage in a black shimmering bodysuit and thigh high black boots – the armor of a woman who has reinvented herself as something fierce. 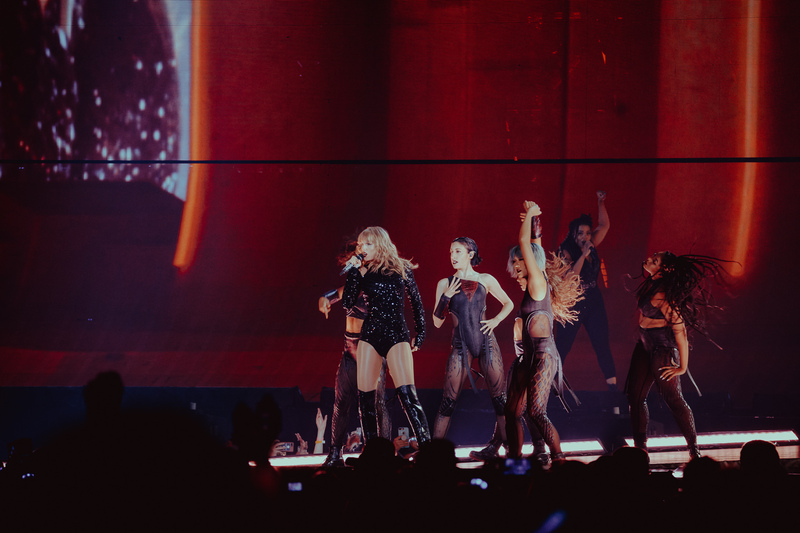 Flinging herself all over the stage, spinning and dancing and kicking with an army of dancers posed as dragons surrounding her, Swift welcomed the “new Taylor” style so well it was unreal. Swift’s setlist definitely went back and forth a lot between old and new, a treat for all fans, but the high points were not necessarily always what songs she was performing, but what accompanied these performances. On every tour, Taylor has made it a point to do something special as a thank you to her fans, and on this one, she decided to have a stage layout featuring two b-stages, so that she would have the opportunity to get closer to the back end of the stadium and be able to see the entire room. The biggest b-stage treat for the tour is that Taylor has been choosing an old song, or one that she doesn’t usually play, every night, and performing them for her crowds, a new choice every night. This is where Detroit struck gold, because Taylor decided that their treat should be “Jump Then Fall,” off of her Fearless: Platinum Edition, released a decade ago. Swift told fans she was “pretty sure” she had not performed the track live and acoustic ever, so it was absolutely a peak point in the night. When she fell, she fell apart. Not just the idea of something. 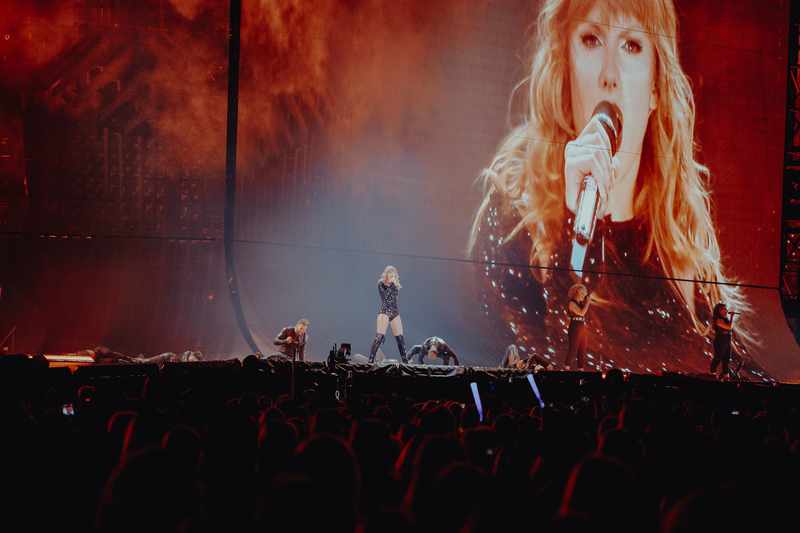 And as the words she truly felt alive, showed themselves on the screen, the lights went up to showcase Taylor, she herself truly coming alive in the lights for her grand finale. Made up of “Getaway Car,” which showcased almost a sequel to the poem’s scenes, and then afterwards transitioned into “Call It What You Want,” which showcased Swift’s castle crumbling overnight, just as the song says, and then being restored better than ever for her mashup of “This Is Why We Can’t Have Nice Things,” and “We Are Never Ever Getting Back Together.” This ending to her night-long narrative was a wild one, full of energy from beginning to end, as she and her dancers leapt around a fountain and up and down the catwalks, waving and greeting and thanking every person in the room for making the night what it was. Needless to say, the night was one with memorable moments from the time the show started to after its end, and it is safe to say not a soul left without a smile on their face or some newfound warmth in their heart. As a long-time fan, I say call it what you want, but I’ll call the Reputation Stadium Tour worth every moment. 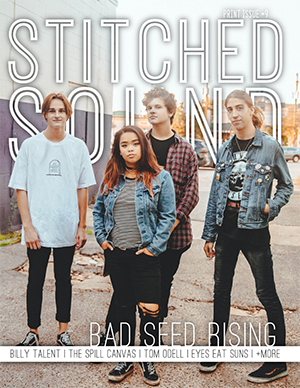 Stitched Sound would like to extend the greatest thanks to Taylor Swift and her team for the accommodation and the wonderful experience we had at the Reputation Stadium Tour, Detroit.